After Janika Cartwright’s ex-partner tried to murder her, she wanted to confront him face to face and ask him why. And after the police told her that would be too dangerous, she fought for change. 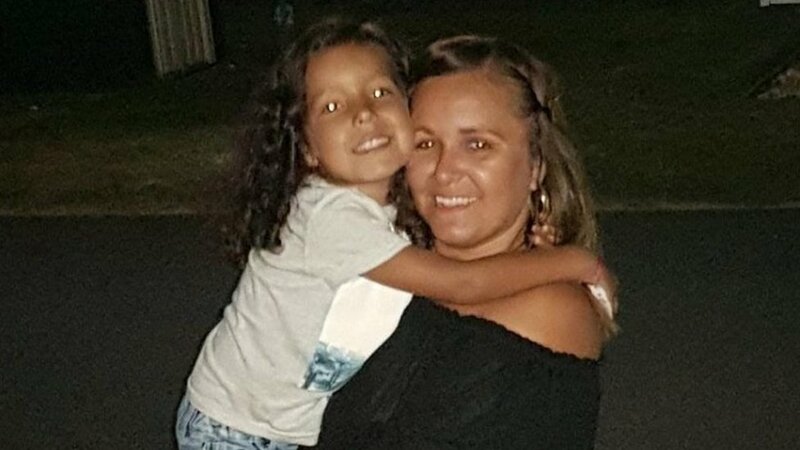 Janika was nine weeks pregnant when she agreed to meet her ex-partner Leon Harrison in a gym car park, in 2013, so he could see their daughter. Unbeknown to her, Harrison was carrying a blade. Her description of what happened next is graphic and disturbing. “As soon as he got in the car, he had a knife in his hand,” she tells the BBC’s Victoria Derbyshire programme. “He hit me in the face, got me into a headlock and was strangling me – I couldn’t breathe. No-one did come to intervene, however, and Harrison pushed her into the car and began to stab her. He stopped only when a member of the public shouted that they had called the police – at which point he fled. Janika had been stabbed eight times in total – once in the heart – and collapsed on the ground. “I felt my life was slipping away from me,” she says. She woke up in intensive care – being told by a nurse that she had been given open heart surgery to save her life. Her unborn child also survived. “The first thing that came into my head was, ‘I need to ask [Harrison] why he’s done this,'” she says. Harrison was sentenced to seven and a half years in prison. And Janika was initially optimistic she would be able to talk with him while he was in jail. She discovered the process – in which victims can meet or communicate with offenders to explain the real impact of the crime – was called restorative justice. It is used most commonly in relation to burglary, robbery, grievous bodily harm and assault. But Janika says she was told the risks were too high in her case, of attempted murder. “I felt really deflated but I wouldn’t give up,” she says. For more than three years, she contacted charities, liaison services and whomever she could speak to in the hope it would one day be possible. “Why would you want to see the man who tried to kill you?” was the response she says she was met with time and time again. But then, the chance came. Everyone involved – including Harrison – agreed that a meeting could take place. Janika knew exactly what she wanted to say, having rehearsed it many times over, and says it was “everything I could have hoped it would be”. “What I needed to do was not only ask him why [he attacked me] but tell him to his face the impact his actions had had on my life, our children’s lives, my family’s life and what it had done to me. “The last time he saw me I was dying, so I wanted to take the power back that he took from me. The government committed to providing £29m of funding for restorative justice projects in England and Wales for 2013-16. Janika says Harrison did not look at her for the first 10 minutes but eventually expressed remorse. He said he had been on drugs at the time and she did not deserve what he had done to her. For Janika, the meeting was not about what he said but the fact that it could bring her a sense of closure. “For three and a half years before that meeting, I never slept one night – not one. I was living in torment. Thanks to her perseverance, many other survivors may also be able to access help. A £1.4m restorative justice programme has been launched in the West Midlands following her story, to help others get answers from their offenders – should that be a process they wish to take part in. The force says it hopes more than 4,000 cases will be involved in the scheme, which is set to last for three years and will consider any victim whose offender can be identified. West Midlands Police and Crime Commissioner David Jamieson says Janika’s story had a “profound impact” on him and it is “vital” people have access to restorative justice. Janika is fully supportive of the development. “I had been stuck as a victim and I wasn’t OK with that. That’s not who I am,” she says.